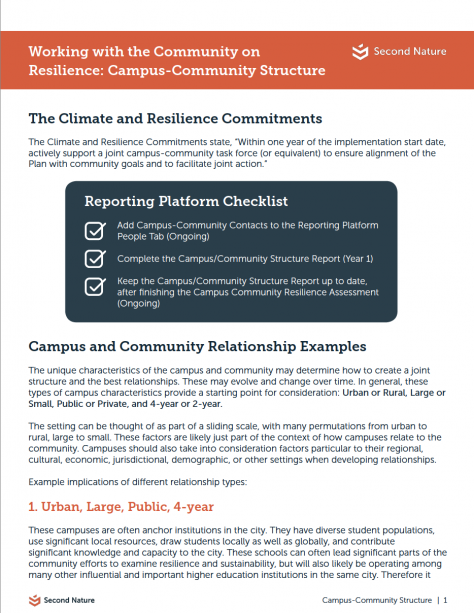 Completing an initial Campus-Community Resilience Assessment is the second step in implementing the Climate and Resilience Commitments. 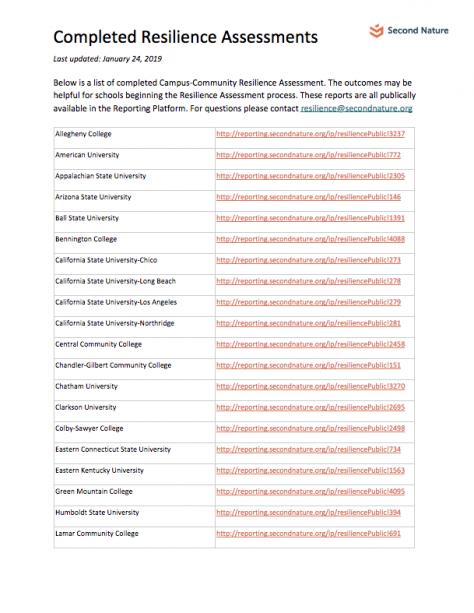 This document compiles a list of schools that have completed their Campus-Community Resilience Assessments. 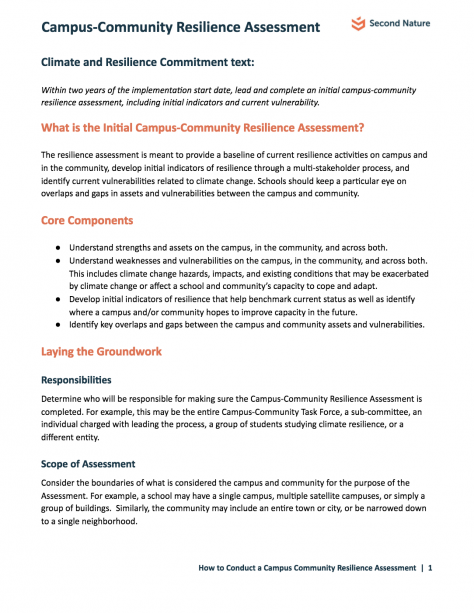 The outcomes from these assessments may be helpful for schools beginning the Resilience Assessment process for their own campuses. The reports are also publicly available in the Reporting Platform. Download. 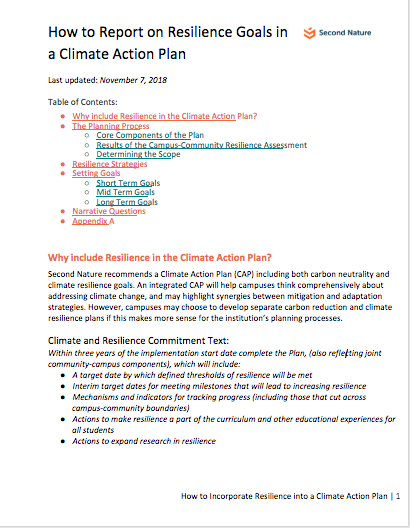 Second Nature recommends a Climate Action Plan (CAP) including both carbon neutrality and climate resilience goals. 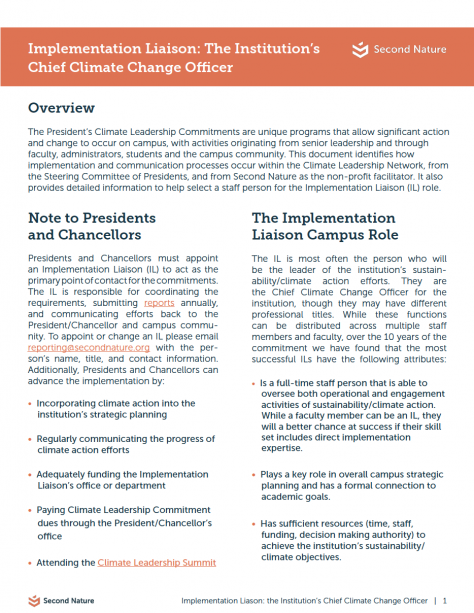 An integrated CAP will help campuses think comprehensively about addressing climate change, and may highlight synergies between mitigation and adaptation strategies. This guidance document outlines how to set measurable resilience goals and targets, and how to complete the resilience portion of the CAP report in the Reporting Platform (Step 3 of the Climate and Resilience Commitments). Download.